Well, friends, we got our first snow storm of the new year this past weekend and let me tell you, it was the most amount of snow I've seen in years; we got about 2 feet! There was even a travel ban, which meant that if you were caught driving on the streets, you got served a hefty ticket. I don't recall this happening before, but I'm so glad that this was set in place because a lot of accidents and lives were spared as a result, and those who are more stubborn (my dad) were forced to stay off the roads. My dad is a man's man, so he breaks things to fix them and he literally searches for things to do. I called him shortly after learning about the travel ban to make sure he would actually listen and he was outside shoveling, which made no sense, since it was still snowing! He just always needs to be doing something, but I'm glad it was in front of the house and not on the streets! 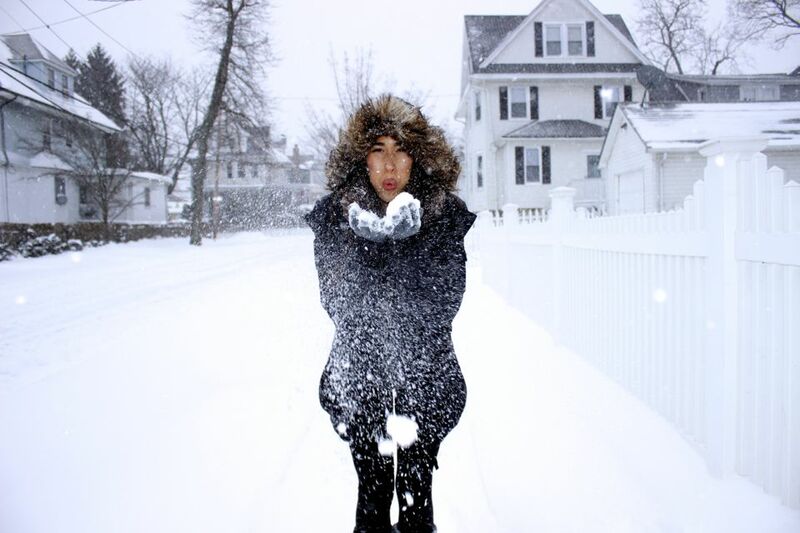 While I wanted to be warm, cozy and lazy the entire weekend, without any plans of stepping out, Eddie insisted we explore the winter wonderland surrounding us a bit and take some photos while we were at it. I'm glad he suggested this because we had so much fun shooting these pics! It can be quite challenging to look cute on days like this, but it's possible with some cute and stylish accessories, like these leg warmers, for example. I've had these Coach snow boots for about 4 years now and the quality is amazing! I love that they are a bit taller, keeping the calves warm and toasty. However, it can get a little boring sometimes just wearing plain winter boots, especially if you just have one pair! In that case, I suggest you solve this style dilemma with leg warmers. You can add pops of color, print or even texture (faux fur or pom poms) to add that nice stylish element to your outfit, while keeping extra warm, too! 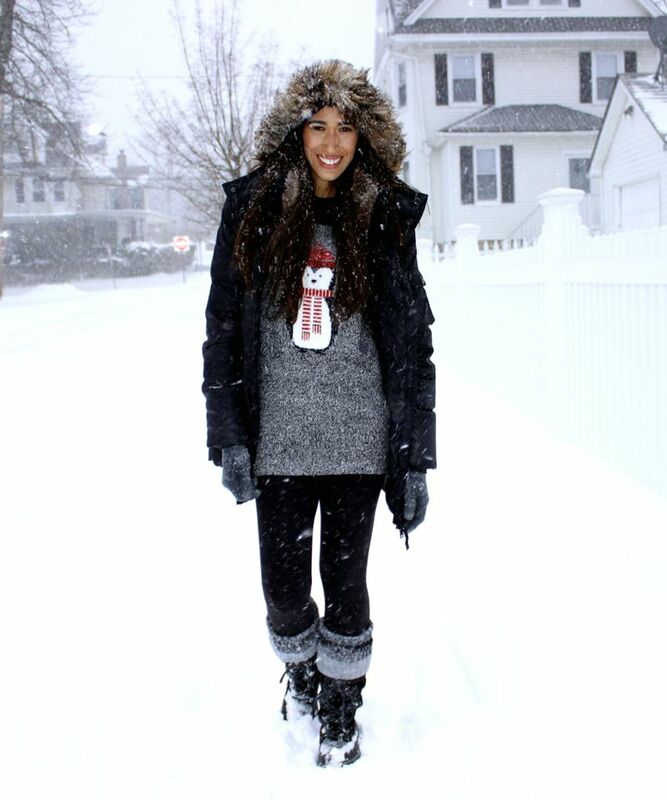 Oh, and you know I have to mention this cute sweater...how cute is this little penguin?! I felt it was the perfect time to wear it and I love how it went perfectly with the leg warmers, too! I hope you all enjoyed this post and have a great start to your week, my dear friends; thanks so much for stopping by!